25th December 2012, Dufftown: On Christmas Day 1887 William Grant, the founder of Glenfiddich, realised his lifelong ambition to create the best dram in the valley when the first drops of whisky flowed from stills in the distillery he and his family had toiled for a year to build. 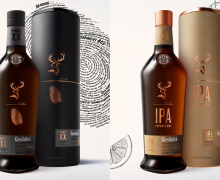 To celebrate this pioneering achievement, and 125 years of uninterrupted, award-winning whisky production, Glenfiddich will cask every drop of whisky distilled on Christmas Day 2012 to create the ultimate, limited edition Christmas Spirit of the future. The Christmas Day whisky will be stored and left to mature for at least 20 years. Malt Master Brian Kinsman will then decide if the Christmas Spirit has reached its full potential, when it will be released as a limited edition. Christmas Day 2012 marks a very special birthday for Glenfiddich, so we were inspired to create something unique said Mr Kinsman. Casking this Christmas Day whisky means that in twenty years time, if we are lucky and the cask matures as it should, we will have created a limited edition infused with the pioneering spirit of our founding father, William Grant. 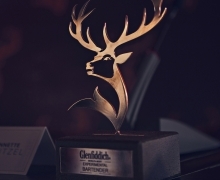 Glenfiddich is one of the few single malt whisky distilleries in Scotland which is independently owned and this special occasion will be marked on Christmas Day when the fifth and sixth generations of the Grant family will be on hand to fill the first drops of the Christmas spirit into casks. Just 125 casks of Glenfiddich Christmas Spirit will be laid down in one of the stone built warehouses at the distillery and matured. Here, they will be patiently watched over by Glenfiddich Malt Master until the whisky is declared ready for bottling. Once the angels have taken their share, the bottles will be available to buy some time after 2032.